Most important is to know what an SMS Route is. When you send a message, your message travels through a chain. Within this chain there are many hubs and parties needed to deliver your message. The picture below visualize the chain of sending an SMS. Because there are so many hubs & routes, the SMS Gateway Provider is always trying to optimize the route to get the best combination of prices and quality. The more intermediaries there are, the more the message costs and the longer it takes to reach the destination. Optimizing SMS routes doesn’t only include finding the cheapest SMS route. Before speaking about a ‘’good SMS’’, other important factors are delivery rates and delivery times. The cheapest routes may deliver 30% of the messages but the sender clearly strives to the highest amount of messages delivered (Note: Nobody can guarantee 100% delivery in 2 seconds). If your aim is to deliver your message as cheap as possible, you might allow a delivery time of 10 or 100 seconds. There are many routes to reach the destination faster or cheaper, depends on what goal you have. For optimizing SMS Routes there is a Network Operations Center. The Network Operations Center (NOC) monitors 24/7 all of our SMS-traffic worldwide. If an SMS route or operator fails, they will try another route via the Retry System. The NOC is always trying to deliver your message for the best combination of price & quality. When SMS delivery fails, there is an option to make a voice-call. So your message will always get across with one of these options. The price of a single SMS is based on the carrier to which the SMS is being sent. The amount of messages is also a factor in SMS pricing. The more messages you send, the cheaper the message. If you have time critical or high security messages like passwords or emergency alerts your biggest need will be to deliver your message within a few seconds. Direct operator connections guarantee 95% message delivery within 10 seconds. • Enterprise SMS Gateway: SMS Gateway with direct operator connections & fixed prices. Delivering within 10 seconds is guaranteed. • SMS Gateway Global: SMS Gateway uses international SMS routes and weekly changing pricing. The message is delivered within 100 seconds. Some SMS gateway providers are using subscription costs to set up the SMS gateway. CM handles a minimum usage or minimum SMS package. The difference? A minimum usage means all of your spend will be converted to messages which you can send directly. With subscription costs you only have an SMS provider, but you need to buy the messages separately. SMS pricing is based on the carrier/operator to which the SMS is being sent. An SMS gateway provider is always trying & testing to send a ‘’good SMS’’ to the operator. There are many SMS gateway packages. Make sure to ask yourself: What are my needs with an SMS Gateway? 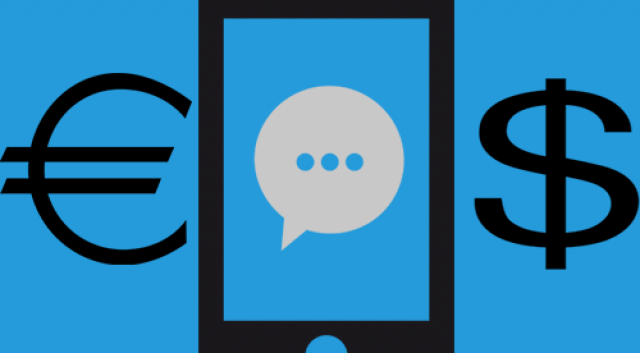 Do I need the cheapest SMS gateway, do I need fixed prices to set my budget or do I need a blazing fast SMS Gateway because I have time critical & secure messages? is a senior digital marketer dedicated to enhancing brand awareness within the digital space. He makes sure relevant information you search for is easily accessible. La Rochelle Hospital has chosen CM Telecom’s mobile platform for reminding its patients on appointments. The hospital cuts on expenses and improves productivity by doing so. The SMS text message celebrates its 22nd birthday today. British software developer Neil Papworth sent the first ever SMS on December 3, 1992.